Soderbergh's Fingerprint Releasing and Bleecker Street have set a release for the new comedy. Steven Soderbergh’s first theatrical release since “Side Effects” in 2013 now has a release date. “Logan Lucky,” his new comedy starring Channing Tatum, Adam Driver, Daniel Craig, and Riley Keough, will be released August 18. Bleecker Street and Soderbergh’s newly formed Fingerprint Releasing have partnered for a wide release at the end of the summer. Hilary Swank, Seth MacFarlane, Katie Holmes, and Katerine Waterston co-star. Here’s the official synopsis: Trying to reverse a family curse, brothers Jimmy (Channing Tatum) and Clyde Logan (Adam Driver) set out to execute an elaborate robbery during the legendary Coca-Cola 600 race at Charlotte Motor Speedway. According to the press release, the production shot at Charlotte Motor Speedway during the actual NASCAR Coca-Cola 600 and the Bank of America 500, as well as at Atlanta Motor Speedway. Six actual NASCAR drivers pop up in non-driver cameo roles during the film. Soderbergh created Fingerprint releasing, which is helmed by former Warner Bros. distribution head Dan Fellman. Take a look at the first look image above, as well as the title card below. 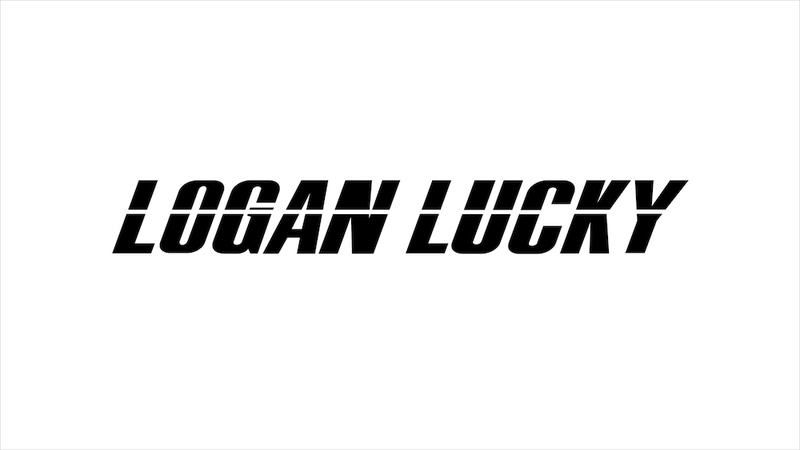 “Logan Lucky” hits theaters August 18.